The new 2019 BMW i8 Coupe and Roadster models are now for sale at BMW of Bloomfield in Bloomfield, NJ! Learn more about the BMW lease deals on 2019 i8 Coupe and i8 Roadsters happening now at our BMW dealer. i8 drivers will enjoy 0-60 MPH in 4.2-seconds, 369 horsepower, and more than 44,000 public charging stations. To meet this new BMW plug-in hybrid in person, schedule your i8 test drive at your local BMW dealer near Newark and Clifton and discover the future of electric automotive mobility. For 2019, BMW offers its new i8 as a Coupe or a Roadster. Both vehicles are motivated by a 1.5 liter BMW TwinPower Turbo 3-cylinder motor. The 11.6 kWh lithium-ion battery can fully charge in approximately three hours. While the new i8 Coupe and Roadster both deliver 369 horsepower, the Coupe will reach 60 MPH from a stop in 4.2-seconds. Convertible owners will have to make do with 4.4 seconds to 60 MPH. The Dynamic Damper Control, 5-link rear suspension, and Electric steering combine to create a precision drive in the new i8 that is smooth and comfortable. Taking a tour of the Coupe's exterior we find a Scissor door design, High-gloss black mirror caps with integrated directional indicators, BMW i "U-shape" LED brake lights, and Lightweight aluminum doors and hood. The cabin of the new i8 offers the choice of Ivory White or Black Leather seats, a Driver footrest, and 6-way power front seats. Are you ready to drop the top? Hop into the i8 Roadster and take hold of the 3-spoke leather-wrapped multi-function sport steering wheel with paddle shifters. You'll find the Full-color Head-up Display (HUD) with shift lights, ConnectedDrive Services, and BMW Navigation Professional system with 8.8" high-resolution touch screen all conveniently located. Be sure to ask about the BMW Connected App Compatibility and Apple CarPlay Compatibility with 1 Year Trial. Comfort and convenience features include Start/Stop button, Electric flow heater, Universal garage-door opener, and a Park Distance Control, front and rear. During your visit to our local BMW dealer, our finance associates can help you decide if it's better to lease or buy. When you're ready to own a new BMW i8, apply for BMW i8 financing and leasing near Newark and Clifton. 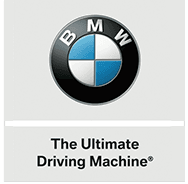 BMW of Bloomfield is your New Jersey home for BMW sales and service. We are eager to put you behind the wheel of a 2019 BMW i8 Coupe or i8 Roadster you'll love. To keep your BMW i8 running at factory specifications, maintain your i8 at our BMW service provider. Make the short drive from Newark and Clifton to our BMW dealership, shop BMW of Bloomfield today!